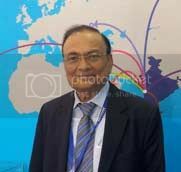 Though it has been announced that India’s largest plastics show and the third largest in the world, Plastindia, may move to the Indian state of Gujarat from New Delhi in its next staging in 2015, many factors allude to its move, such as the lack of proper infrastructure and power, said SV Kabra, a member of the organiser of the show, Plastindia Foundation. Speaking at the recently concluded Chinaplas show in Guangzhou, China, Kabra reiterated (what had been said earlier by Plastindia Foundation Chairman Bipin Shah), that a new exhibition centre will be built in Gujarat to house the show. “The Indian Trade Promotion Organisation (a part of the Ministry of Commerce and Industry) is thinking of rebuilding and partly demolishing the present exhibition centre in New Delhi (Pragati Maidan). There are many possibilities and hopefully the Ahmedabad government (in Gujarat) will offer an alternative venue for the show,” he added. “The Chief Minister of Gujarat is interested in constructing an ultra modern exhibition centre but it requires the infrastructure and power to go with it. We are optimistic that all the facilities will be ready by the time the show is scheduled to be held,” said Kabra. Pragati Maidan was built in 1982 and has not been renovated since. 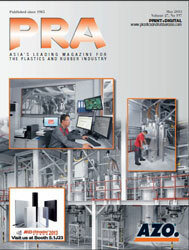 Plastindia 2015 will be staged from 5-10 February 2015.